Pastors and church leaders are giving a vote of confidence to the Florida Baptist Convention’s regionalization model that places a regional catalyst “Right Beside” the local church. 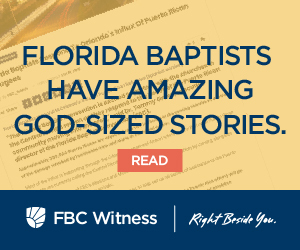 “I would say regionalization is a good idea,” said Phil Young, executive pastor of Westside Baptist Church in Gainesville. “The greatest benefit is that we no longer have to know which department to go to for partnership needs with the Florida Baptist Convention. We have one representative who handles all of our needs and concerns,” he added. “Regionalization is extremely important for our Convention simply because of the sheer number of churches that are part of the Florida Baptist State Convention,” contends Matt Crawford, pastor of First Baptist Church in Sebring. “It would be impossible for Executive Director-Treasurer Tommy Green to keep up with all of the needs and opportunities throughout our state. Putting ‘boots on the ground’ in each region and empowering the regional catalysts with authority over resources are wise and essential steps for making the state convention useful and helpful to local churches,” he added. Personalization and regionalization are key components in the Florida Baptist Convention’s new direction, developed to more efficiently and effectively serve churches in five geographic locations across the state—northeast, west, central, southwest and southeast. A regional catalyst, living in each region, is assigned to serve and respond to the needs of the churches in that area. Young became involved with the Convention as Westside “a mission minded, sending church, focused on the Great Commission within its local community, region and world,” began planting a new church in Southwest Gainesville. In his role with the sending church, Young partnered with Glen Owens, regional catalyst in the Northeast Region, to secure funding to support that new plant. “Glen Owens has been very helpful” to that process,” Young added. Pastor Juan Ocampo serves two Florida Baptist church plants–Comunidad Cristiana Cristo Fusion in Tallahassee and Comunidad Cristiana de Bonifay. The churches are made up of diverse Hispanic cultures, mostly young families and single adults. He has worked with the West Florida regional catalyst Lewis Miller, and views him as an encourager, partner in the ministry and most importantly—as a friend. Miller has helped the Hispanic churches in the West Florida Region connect with each other, Ocampo explained, guiding them to take first steps in establishing the West Florida Network of Hispanic Baptist Churches. 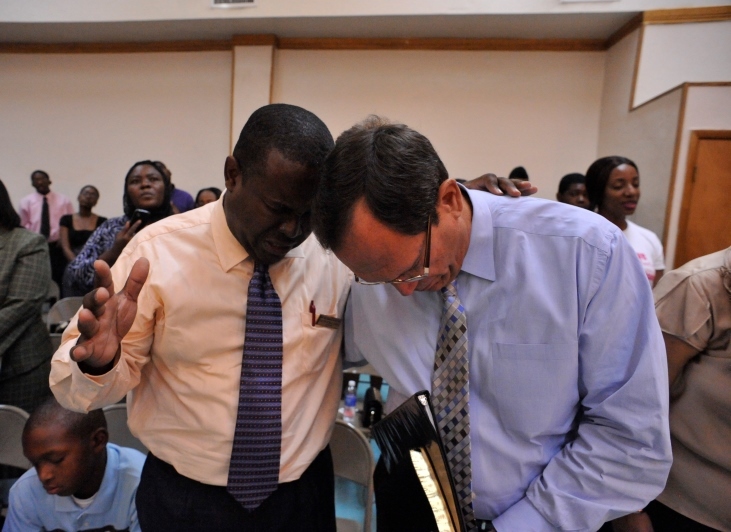 Having watched the church planting movement in recent years, Javier Sotolongo, pastor of Hialeah’s Iglesia Estrella de Belen and a “church planter at heart,” was concerned about the caliber of individuals involved in planting new congregations and lack of coordination in locating new churches. The new model of regionalization “gives back to the local church their responsibility and offers a more New Testament way of planting churches,” he said.